We love to read Jan Brett's book The Mitten each winter. There is something magical about the snow and the animals and the big mitten that I love! Where we live it is generally pretty warm, so my kids were super excited that it got cold enough to wear their mittens a few weeks ago! We also got to go tubing over Christmas and use them again! Yay! 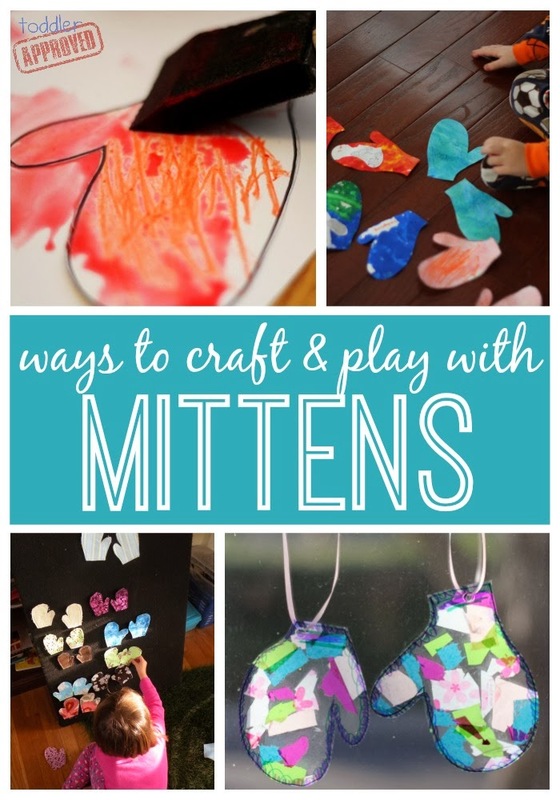 Over the next few weeks while we read Jan Brett's book again and again we will be re-visiting these mitten crafts and activities. Have you read The Mitten? Do you have any other favorite ways to craft and play inspired by Jan Brett's book?